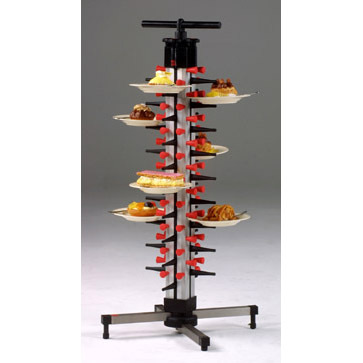 Perfect for restaurants, bars, and other industrial kitchens, including kitchens on board ships, mobile restaurants or food trucks, and recreational vehicles. This model can be equipped with a hand grip a eye at the top allows suspension from a hook, in an area for cold storage, for example. 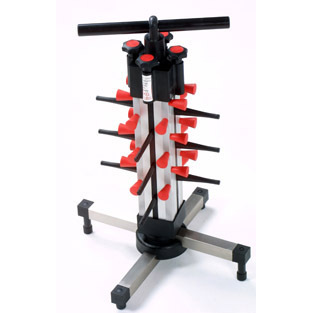 The adjustable feet make uneven surfaces no problem. Our products adjust to fit nearly any plate size. 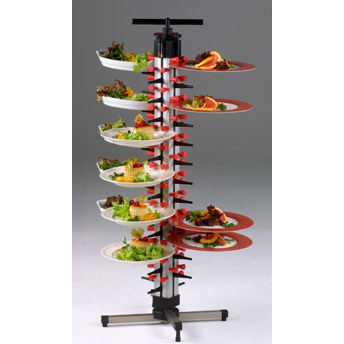 If used properly you can tilt our dish racks up to a 20 degree angle, fully loaded, without dropping a plate. Our products are fully tested in professional kitchens throughout the USA. 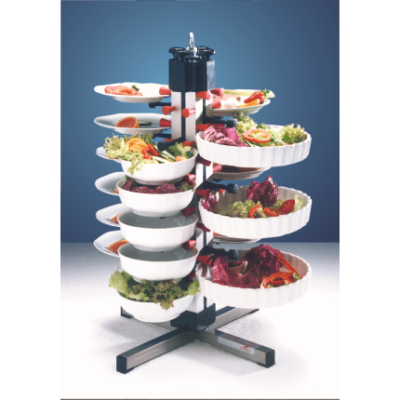 Banquet tip: Load this handy model with assortments of cold or room temperature appetizers and leave on your happy hour buffet. Now, you don’t have to worry about one person cleaning out all of one particular appetizer since they will likely only take one plate at a time. Your staff can see the plate tower from a bit of a distance and can glance to see when it needs to be refilled.